Are You Making The Most Of Your LinkedIn Connections? 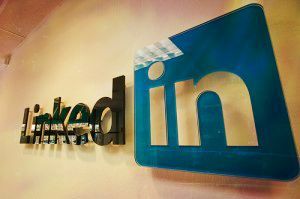 While Google+ has been making serious inroads into the professional/business social networking sphere of late, LinkedIn remains the social business network of choice for most users. The thing with LinkedIn is that, like Google+, lots of people have an account of some sort, but very few use it correctly or to its full potential. Most users simply set up a profile, connect with some colleagues and friends, and leave it at that. At the other end of the scale, there are those users who are almost too active on the platform, spamming their contacts and LinkedIn groups with endless articles intended to draw attention to themselves, rather than contribute something meaningful and useful for other users. Basically making connections, and communicating effectively via LinkedIn is just a natural extension of the type of dealings you might have with business and professional connections offline. Whether they are a potential customer, a prospective partner, or a supplier, you need to build up value with them if they are going to extend their interest in your company and/or its products and services. A common approach to engagement on LinkedIn is to hit up every new connection with a lengthy and largely unpersonalized email telling them who they are, what they can do for you, and how much it is all going to cost. While it may seem like a good idea to go for the jugular in this way, in most cases it can do more harm than good to your chances of making valuable connections. As in business, the key to success on LinkedIn is to add value before you start trying to sell yourself and/or your business. The acceptance of a connection invite does not signify a genuine interest in someone – it’s just the first step towards the building of a potential relationship. But what can you do to ‘add value’? There is no one-size-fits-all approach that will work in every case, but all the successful approaches involve you taking an interest in the other party. For example, if you have recently connected with a hundred or so SEO specialists, you could start off by sending a link to an article you have found interesting, that might be of interest to them. This shows that you were thinking of them. Then, you could follow up with a link to a more substantial and potentially useful piece of content, such as a free Ebook that you have found that sheds light on integrating SEO with social media marketing, for example. This kind of thing can help to build up the necessary rapport between you and your connection, so that when you do contact them to ask for a meeting they know who you are – and more importantly, they are interested. After using LinkedIn actively for a few months, you will probably have made a lot of connections – and once you have more than a few, it can be difficult to keep track of what they do and who to target with your communications. For example, you might want to target your media contacts to gain some exposure, or potential collaborators in certain specialist fields such as accounting or graphic design. By default, all your connections will be lumped in together in a folder called ‘Untagged’. As we have already established, communication needs to be personalized if it is to stand any chance of success. This can be done much more effectively if you segment your connections using tags. Although this might seem a bit of a chore – especially if you already have a lot of connections to wade through and categorize, it will save a huge amount of time and effort in the long run. At the end of this process, you will have a clear idea of how many connections you have in each industry, and this will make it much easier to communicate in a selective way – as well as showing you where you might need to expend a bit more effort. While there is an obvious temptation to try to build up your following as quickly as possible on any social network, it isn’t a very effective strategy for engagement on LinkedIn. After all, just one quality business connection is more valuable than a thousand random adds. Therefore, you should ensure that every one of your connections is linked to your current and future business objectives. This means taking a step back and thinking about the goals you would like to achieve with your business in the next year or two. Once you have these in mind, you need to think about who you might need to connect with in order to achieve these objectives. For example, if you are looking to increase the visibility of your brand online, you could cultivate connections with journalists, bloggers and editors to get yourself featured in some articles and publications. Ultimately, it’s all about creating a strategy that will work for you – and that takes into account the reasons why people use LinkedIn, and how they like to use it. The following infographic about the LinkedIn user base might prove useful in terms of deciding on an engagement strategy for this platform.